A quick on board video from Darren’s shoulder cam from a session at Buckmore Park on 01/07/17. Gaz and Mark also on circuit. A good fun race but all of us feeling very much out of practice. 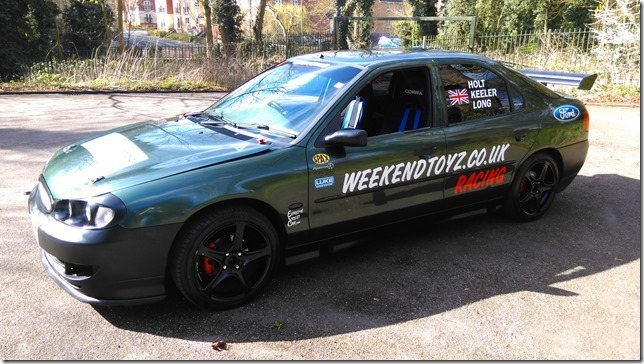 Matt who is an admin at Ford Enthusiasts North and South recently contacted us, he is now the latest owner of our Mondeo track car. We were pleased to hear that the car is still running strong and attends car shows and continues to be used on the track and occasionally on the road to keep it running well. The cars next outing will be at Silverstone. We’ve all heard of bike engined Mini’s but not so much of bike engined Corsa’s, unless you happen to be in Disneyland where you’ll suddenly find yourself surrounded by them. 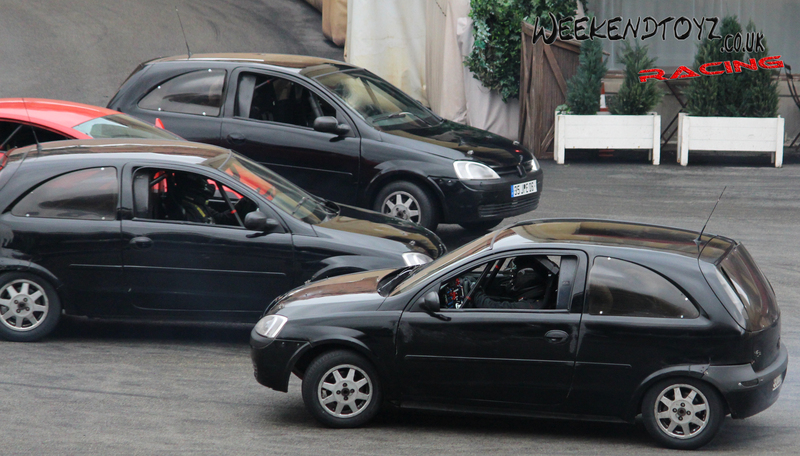 Moteurs… Action is a stunt show first performed in 2002 at Disneyland Paris just 2 years after the introduction of the Corsa C from General Motors. During the show a red “hero” car, designed by specialists from the Opel International Technical Development Center in Rüsselsheim, Germany is chased by a number of villains driving Black Sapphire Corsa C’s with facelift rear lights. The audience witnesses jumps, explosions, gun shots and cars being split in half. In Febuary 2003 construction on Disney’s Hollywood Studios stunt arena began and Lights Motors Action, a copy of the show from Paris officially opened in 2005. The show in Hollywood Studios has since closed as the area was required for a new Star Wars Land, the show does however still continue at Disneyland Paris. There are lots of video’s, pictures and interviews on the internet from the show but it’s very hard to come across any detailed specification of the cars. In this post I’ll give the best specification I can from research, photos, videos and my own assumptions. Photos from Paris taken by myself (marked with the Weekendtoyz Logo) whilst the Orlando photo’s are courtesy of Dominik Wilde and some other photo’s courtesy of Chance Morris, Matt Ferratusco, Ashley Livingston, CanalAuto and WDWMagic. Each car was built in Opel’s Technical Development Center and depending on when it was built is powered by two variants of Suzuki Hayabusa engine mounted in the rear. Original cars would have had a 1299cc, estimated 155bhp engine from the generation 1 Hayabusa whereas newer cars use the generation 2 engine released by Suzuki in 2008, this 1340cc engine boasts 172bhp, subsequently the dashboards also vary. 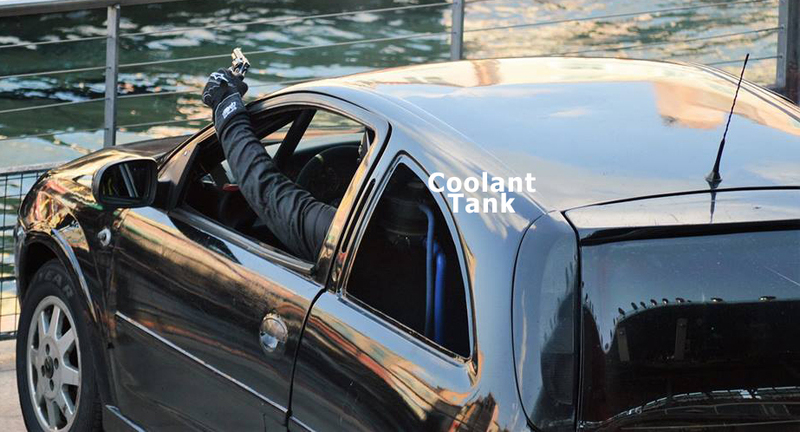 The coolant reservoir is mounted high directly behind the driver and the exhaust exits at the left of the rear bumper exactly like the production car. The car can do 0-60 in about two seconds and a top speed of roughly 70 miles per hour. A bike engine is designed to be fitted in a very light vehicle, so a bike engined car needs to be very light and most modern cars equipped with modern safety systems are very heavy. 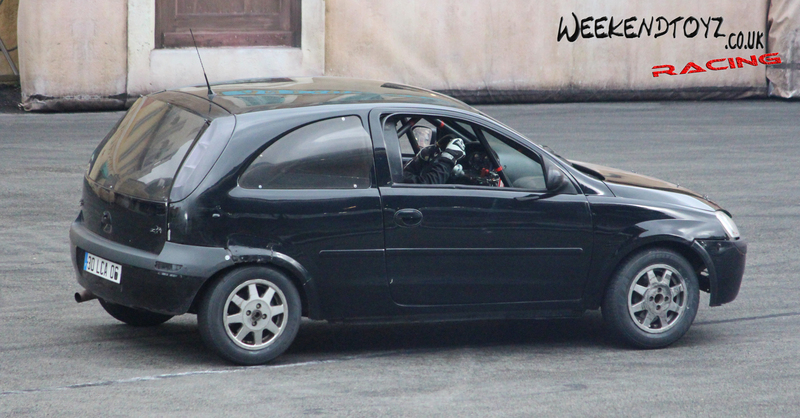 Disney’s stunt Corsa weighs in at less than half the weight of a standard production Corsa at 600kg. 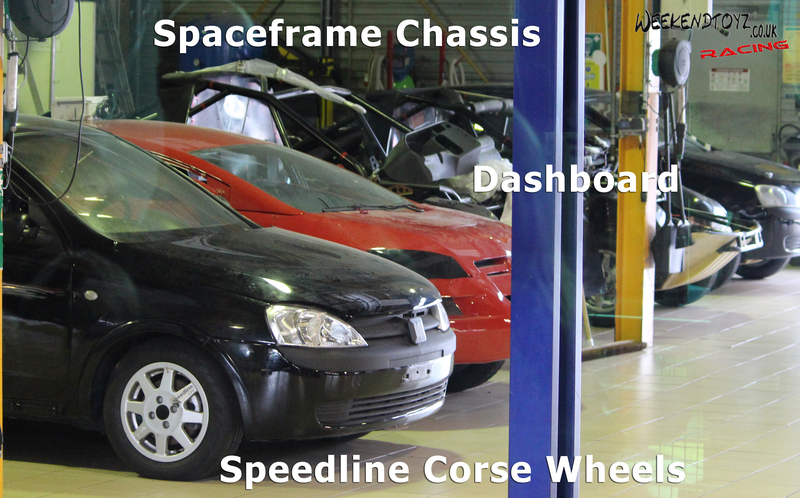 Whilst published interviews quote the drivers referring to the cars as stripped out production cars they are actually no more than a space frame chassis with Corsa panels attached to them, hence why none of the panels line up very nicely, especially on the cars from Orlando which as you can see from the photo’s also have other visual differences. Weirdly the number plates on the Paris cars appear quite genuine as if they are registered and all the ones I saw suggested they were registered in 2006, could the cars have been replaced within 4 years of use? The combination of mid engine, OEM glass front window and small fuel tank under the bonnet probably give near perfect weight distribution. The side, rear quarter and rear windows are all Perspex. The rear quarters incorporate bulged vents to get air flow to the engine, the left quarter linked by ducting to the air box, and the rear windows three upper bolts have spacers in to allow air to vent from the top, another two bolts hold the bottom of the window in place. The gearbox is apparently designed by Disney, there are four forward gears but the driver can twist the top of the sequential shifter to select the same gears in reverse allowing the car to achieve top speed facing the wrong way! During the show gear two is mainly used, even from standstill, gear three is used when higher speed is required. 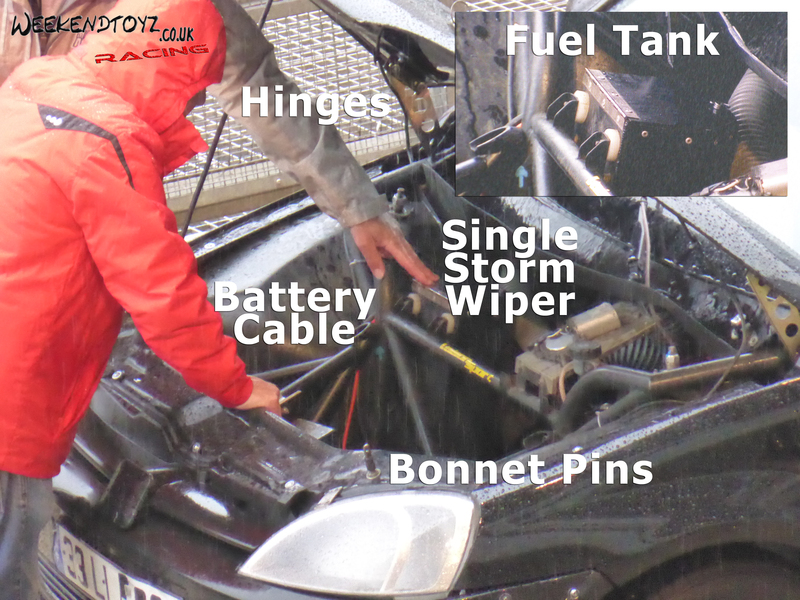 Bonnet pins are mounted in a slam panel which appears OEM, the boot lid is also secured with bonnet pins, no OEM boot lock is in place on the Paris cars but can be seen on the Orlando cars. The bonnet hinges are custom fabricated. The OEM front bumper is mounted by 2 bolts either side and 2 bolts from the grill to the slam panel. Under the bonnet you can see what appear to be GRP inner arches, a 4 litre fuel tank (of which only 1 litre is used during a show), and single storm wiper all mounted on the tubular chassis. Also visible is a red cable indicating that the battery is also mounted under the bonnet, although in the Orlando cars the battery is visible in the passenger foot well. The rear bumper is also OEM and is secured from the outside with screws. Black plastic panels have been put in place of the reflectors on the rear bumper, only the bare minimum of external panels has been ordered, reflectors would be a separate part number from the bumper hence why they have been blanked. OEM wing mirrors are fitted along with OEM aerials which may be utilised by the teams radio system. Eight spoke four stud Speedline Corse alloys are wrapped with Goodyear rubber. The braking system consists of front and rear disks, the rears have two brake calipers, one presumably controlled by the pedal and the other by the hydraulic fly off handbrake. A coil-over suspension system with large travel is mounted at an angle, like an off-road vehicle, to the space frame chassis and connected to custom tubular wishbones. The front coil-overs appear to be mounted at a more acute angle than the rear, have a higher ride height and presumably soft spring rate to aid in landing from a jump. 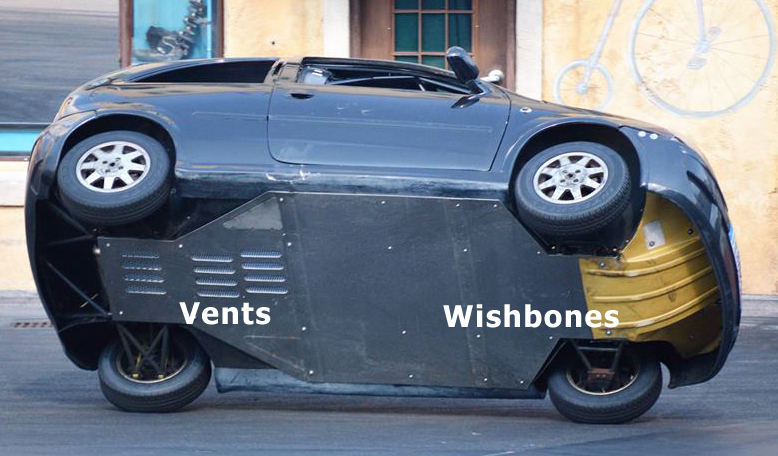 Pictures of the Orlando cars reveal an under tray along the whole underside of the car, commonly a race car would have this for its aerodynamic benefits but looking at the construction of this I’d say it’s more designed to take impact if required. A yellow skid pan is attached to front of the under tray coming up pretty much in line with the front grill, presumably so that if a jump was slightly misjudged the front bumper would be lost but car would slide over its landing ramp. Vents are also visible in the under tray to aid engine cooling and the side skirt areas of the bodywork are bolted to the under tray. 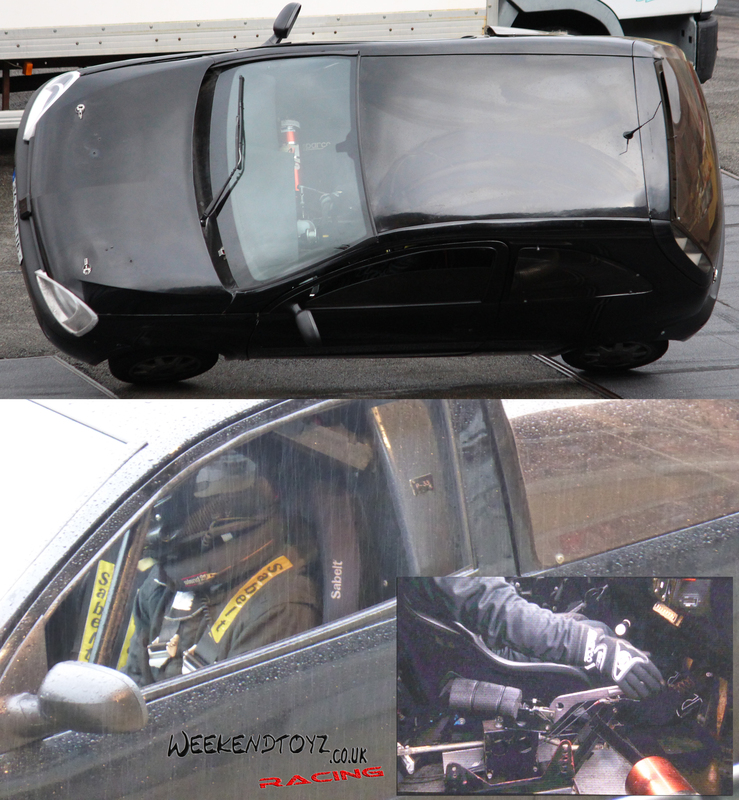 Inside the car we can see both a driver and in some cases a passenger Sparco Pro 2000 bucket seat equipped with Sabelt Harnesses, the seats will most certainly be bolted to the space frame and I’d imagine the passenger seat only gets used during training although I’d love a passenger ride. 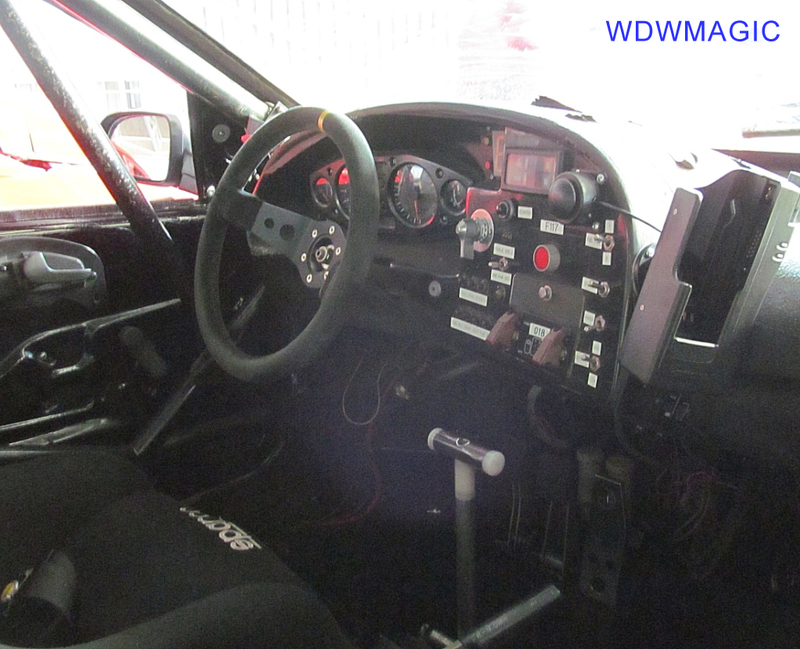 A Sparco R215 suede steering wheel with yellow marking at top dead centre is fixed to a custom steering boss and presumably column, I doubt an OEM steering rack would be used as the power steering would require assistance from the engine. 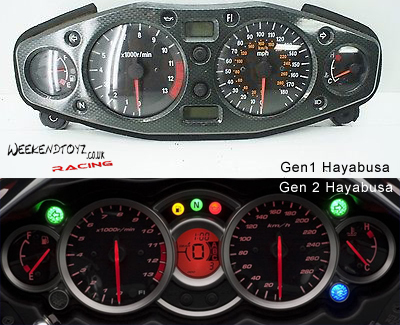 A couple of variants’ of custom made dashboards can be seen and have Suzuki Hayabusa gauges mounted to them, there are two variants of the Hayabusa gauges depending on whether the car is using a generation 1 or 2 engine. The dash also has a gear shift indicator and numerous switches controlling everything from pyrotechnics to engine cut out, it also appears that a green l.e.d is lit when the car reaches the optimum speed to jump the ramp. It appears that OEM doors have been used but with no door cards, the OEM handle and window winder appear to have been used. 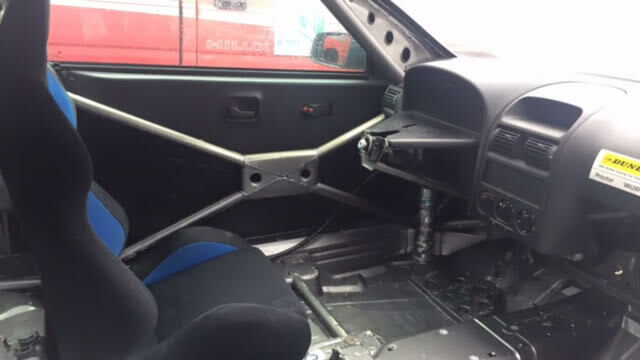 A racing pedal box has been installed and has brake and clutch master cylinders attached to it, presumably the accelerator is linked via cable to the engines throttle. A fire suppression system sits roughly where the passenger foot well would be. 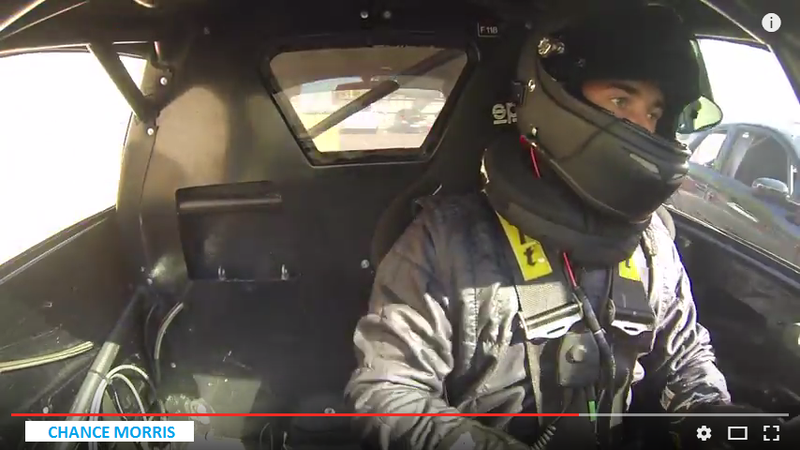 There is also a division behind the driver presumably as a safety barrier between driver and engine. The only other OEM part inside the vehicle is the rear view mirror. 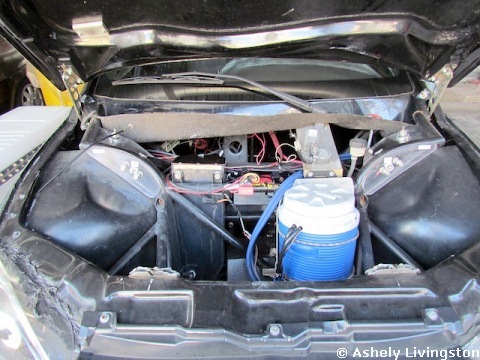 Other than the differences that can be seen in the photos between the Orlando and Paris cars, Orlando ones also have a cooling system mounted under the bonnet that connects to the drivers nomex vest to keep the driver cool, presumably the French climate doesn’t pose a requirement for this. 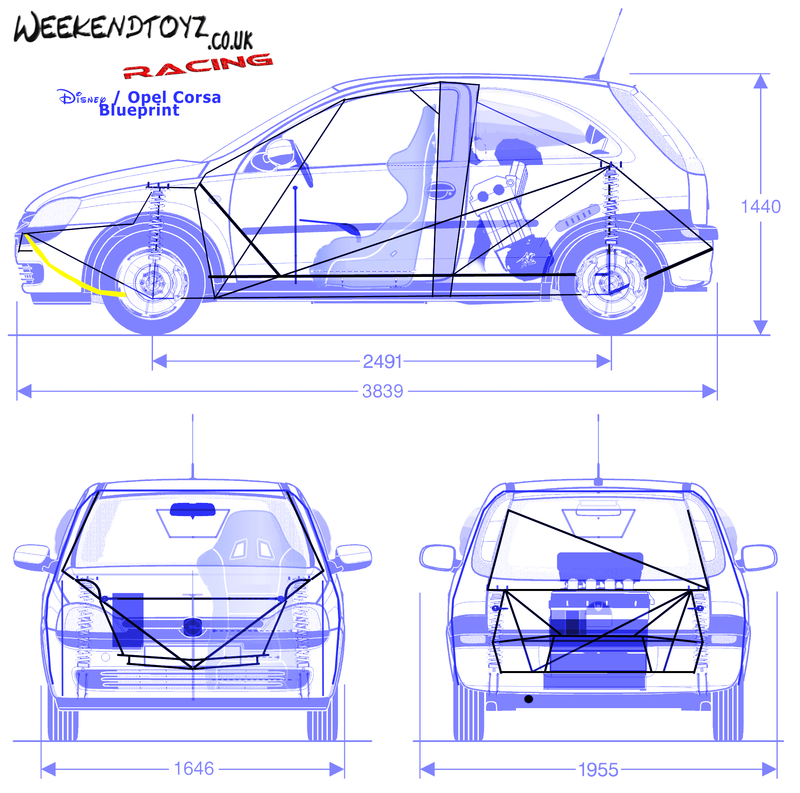 To conclude I’ve created the above drawing based on my research, its not completely accurate but is close enough to give a good idea of how the cars are constructed. 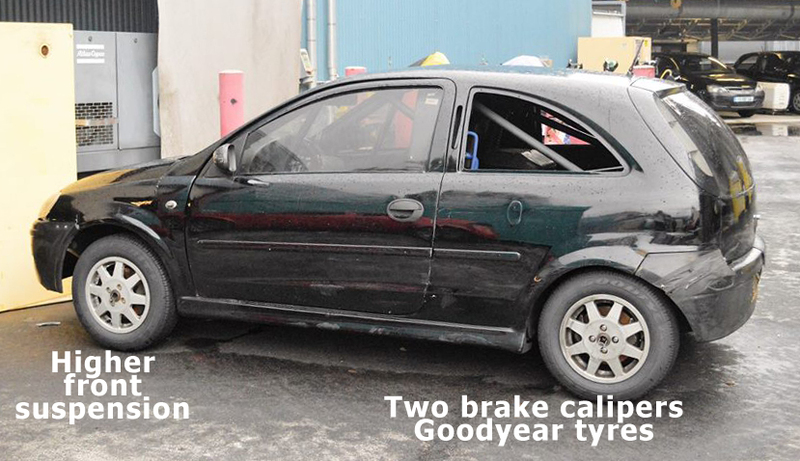 The only OEM parts that I can see on these Corsa’s are the bonnet, slam panel, boot and boot handle, front and rear bumpers, front grills, side panels, doors with handles (internal and external) and side moldings, roof skin, aerial mount and aerial, front and rear lights, windscreen, middle mirror and wing mirrors. 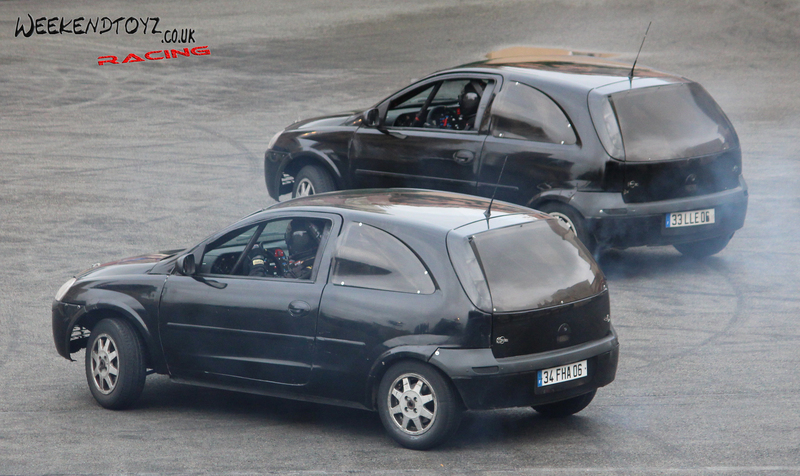 It’s worth noting that both the car that splits in half and the villain car with the Disney Cars themed mouth and eyes are both genuinely real Corsa’s with some modifications. The car that splits in half can instantly be spotted by the face lift bumpers and pre face lift red rear lights. 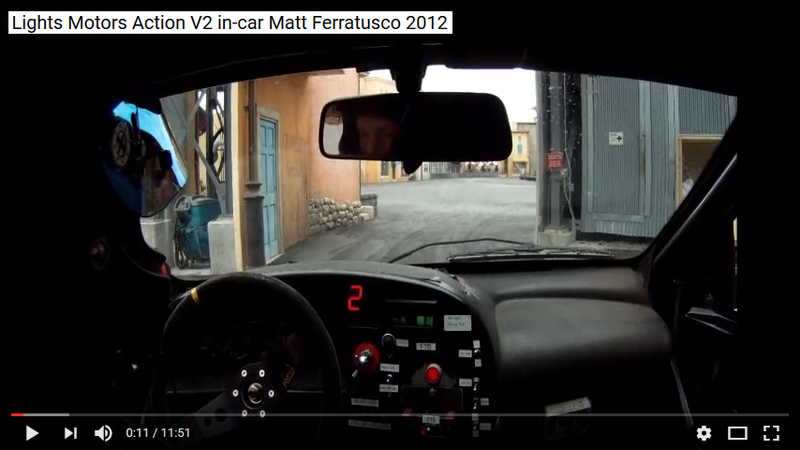 Both these cars use the standard front engine, likely to be a 1.0, 1.2 or 1.4 variant. As for the choice of vehicle, a relationship between Disney and General Motors stems back further than the show, the first alliance began in 1982 with the introduction of World of Motion at Epcot, which was later replaced with Test Track, both showcasing GM car technology. Since then in 2011 General Motors France and Euro Disney Associés SCA announced a partnership agreement, Vauxhall-badged vehicles have been supplied to the UK and Opel-badged vehicles supplied across Europe, a press release reads “Opel may now leverage the strength of the Disney brand and the attractiveness of Disneyland Paris in order to promote a wide range of vehicles”. Oddly whilst the Orlando cars do display the Opel logo, the Paris cars do not with a cover hiding the badge from the front bumper. I can’t imagine how much fun these little Corsa’s must be, even with a lack of heater and stereo I’d still have one as my daily driver, unfortunately the only bike engined Corsa C I’ve seen since visiting Disneyland was a feature car in an issue of Total Vauxhall, I’m still yet to see one on the road. 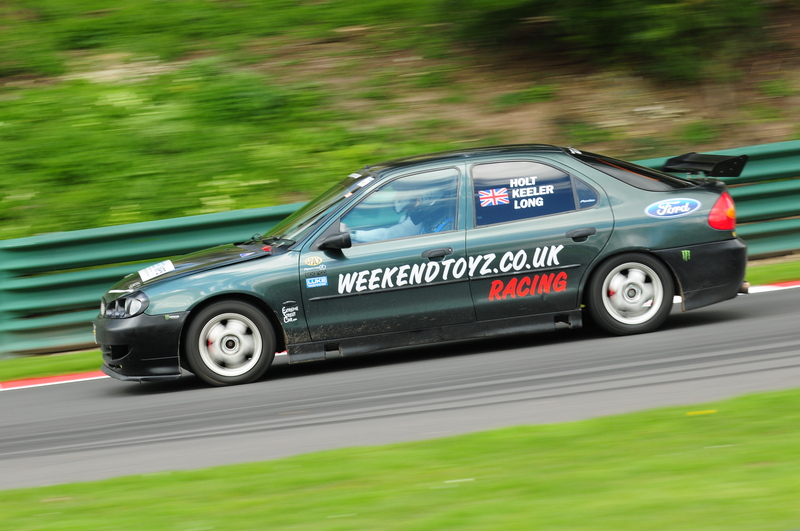 An excellent 20 min session at Lydden Hill which finally saw me beat my previous fastest lap time, set in the Mondeo back in 2013 by around 0.2 seconds. Although the BMW is more powerful the Mondeo was purpose built for racing, it was lighter, had a better brake setup and soft tires. Taking that into consideration along with the constant reminder in the back of my mind that I can’t crash my road car, I’d say the BMW did very well. The K&N Air Filter, DPT Chip, exchange of run flat tires with Michelin Primacy 3’s, EBC GreenStuff front brake pads, Black Diamond front brake disks and removal of the front brake dust covers all worked in harmony to get the car around the track 2 seconds faster than when it was standard. The power difference from standard was instantly noticeable, the car was able to stay with the much lighter cars on the track. I happened to notice a reading around 8-9 mpg on the dash and after an hour drive to the track, 20 mins of racing and an hour drive back I’d still used less than a quarter of a tank. The difference in handling having gotten rid of the run flat tires was huge and in every day road driving the car is noticeably more comfortable. I ran the fronts at 32psi and the rears at 33psi with no trouble at all. The rubber had melted and blistered and the tread pattern changed shape somewhat but they are still perfectly good tires. It’s impossible to fault the M Sport suspension, if anything it’s a bit too hard and low for everyday road use but on the track it’s superb. The brake fade issue’s I’d had previously from the standard brake disks and pads had been eliminated with the new brake setup allowing me to focus on setting a quick lap. The only braking issue I had now came from the brake fluid and possibly the lines to a certain extent, the pedal felt somewhat spongy but the brakes still performed perfectly. 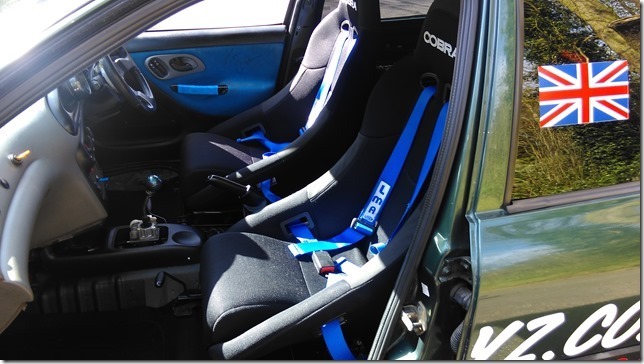 I think a performance brake fluid and braided lines would be a worthwhile investment for any future track time. The TRS harness again did a great job of keeping me in my seat, Helen on the otherhand, my brave wife in the passenger seat was flying around all over the show. She would strongly advise on a harness for passengers! Apart from the obvious differences such as lack of interior and noise, the introduction of modern technology is probably the most noticeable between the BMW and the Mondeo. There was complete feedback from the track surface through the steering wheel of the Mondeo, and you were constantly aware that if you braked too hard you would lock up or if you pushed too hard the only traction control came from your own ability to counter steer and control the pedals accordingly. The BMW offers less feel through the steering wheel and was just as easy to turn the wheel at race speeds through corners as it would be for everyday road driving. I’d found previously that the traction control limited the car too much through the corners, however setting it to DTC mode allowed the car to break traction just enough to get me through the corners whilst still giving me an excellent lap time and keeping the car facing the right direction. RIP Mondeo, I Don’t Think So! On 31st March 2016 after hearing a rumor through the grape vine, we officially announced on our Facebook page that the Mondeo had been crashed on a track day. This was of course sad news for us, leaving us reflecting on all the hard work that had gone into the car. 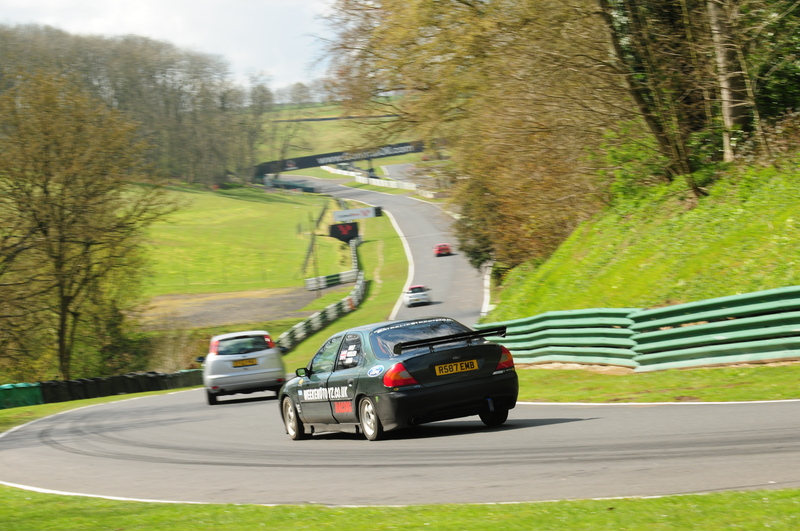 Cadwell Park 28/04/16, Jonathan and his wife putting the car to the test Cadwell Park 28/04/16, Passenger door on the latch! The car had completed a 150 mile journey there and 150 miles back with no issues. The only drama’s on track were an under tray flying off at about 95mph and being black flagged for accidentally leaving the passenger door on the latch. 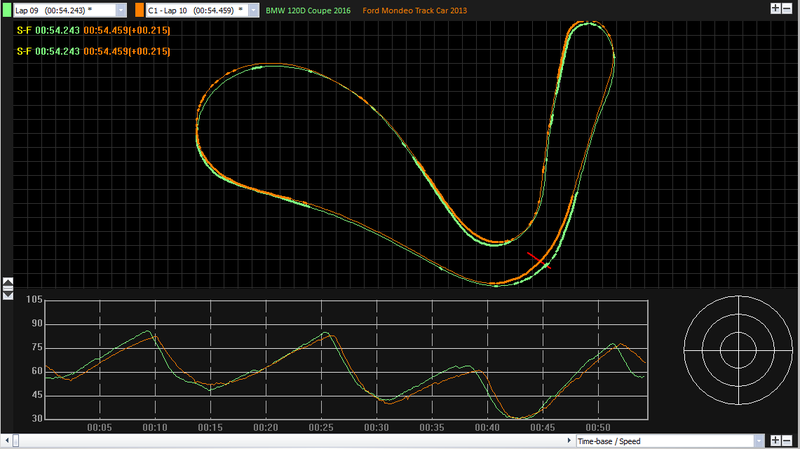 Other than that the car went very well, showing its strengths on braking and through the corners but fell behind on the straights to the faster cars on track. We are all very glad the car is in good hands and being used for what we built it for. Good work Jonathan, fingers crossed for some more track action throughout the year. April 30th saw Mark, Gaz, Darren and Laura back at Buckmore Park for an excellent practice session with some very good competition on track. It was our first time on track since the new tarmac and tire walls had been put down, there were various other changes to the buildings, sign on now being done on iPads and new seating in the cafe. 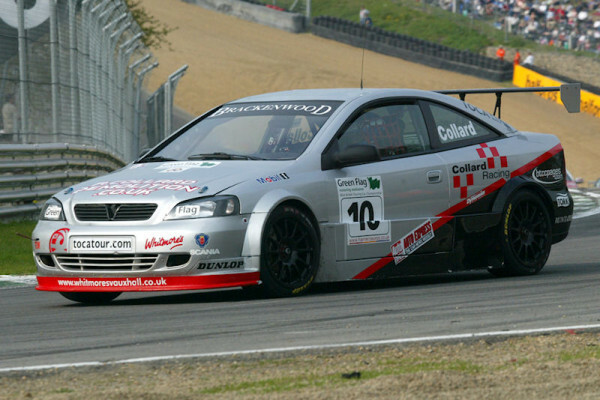 Alongside Prodrive’s mk2 Mondeo the Astra Coupe built by 888 Racing was arguably one of the greatest BTCC cars ever built, winning the Teams, Constructors and Drivers championships throughout 2001 to 2004. 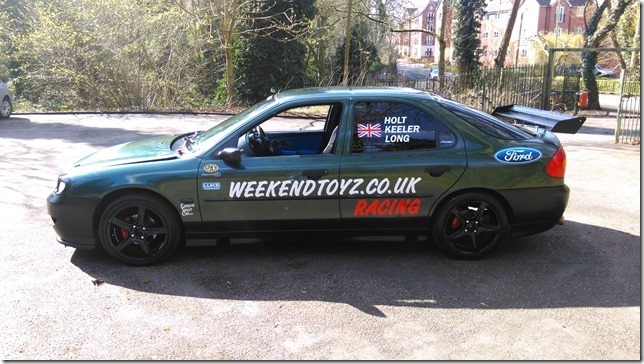 Having already had a shot at building a Mondeo track car and tuning his road going 888 Racing Astra, Gaz was now ready to step it up to the maximum. 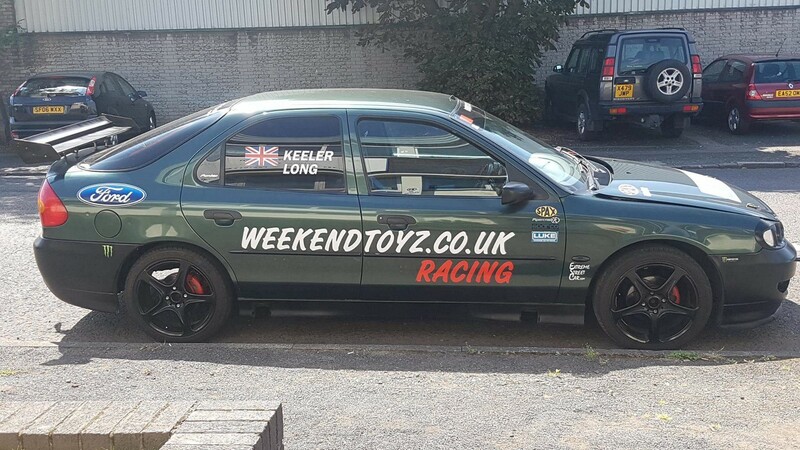 Acquiring a genuine 888 Racing Astra Coupe BTC-T rolling shell, once owned and raced by Rob Collard, he’s now set about rebuilding it to make the ultimate track car. It’s by no means an easy task though, whilst the body of the car may to a certain extent resemble a road going Astra, the chassis is totally different. There’s no “off the shelf parts” designed for an Astra that will fit, so obtaining CAD designs and homologation documents has been the main task as many parts will have to be custom made to 888’s original specification. As regards the engine, or lack of one, Gaz is free to fit what he wants, as opposed to being restricted to a 2.0 N/A as per BTCC regulations of the time. It’s probable that he will fit a Z20LET being that he’s got good experience tuning them. These turbo charged engines have been known to be tuned up to 600bhp, exhilarating would be an understatement in a car of this weight, the original BTCC Astra engine had less than half that at 270bhp, but you only need to watch some old BTCC footage to see that it was more than adequate, which is exactly what we were doing last weekend, watching the BTCC 2004 season review and cheering every time Gaz’s car came into shot.